Coffee has a few well known benefits that Iʼm sure we all know and have used on occasion. Benefits such as the ability to help you feel human again on a Monday morning after a big night out, a great excuse to catch up with friends for a gossip at a local cafe, making those late nights last longer with an espresso martini, and when everything feels a little bit hard, coffee helps you adult. But did you know that there are other Health Benefits of Coffee? Now donʼt panic, Iʼm not going to take away your freshly roasted beans for some crazy Hipster Health Benefit. I wouldnʼt do that to you. I mean after you have extracted all the tasty goodness and your brain is a little bit clearer. We have put together the perfect recycling tips and tricks so you can enjoy your coffee again and again and again. Have some unwanted visitors causing destruction and chaos? Sprinkle used coffee grounds around your plants to keep the critters away. Not only does your garden smell fantastic but you might actually be able to enjoy it. Struggling to keep your citrus plants alive? Mix your old grounds with dead grass clippings, brown leaves, or dry straw to neutralise some of the acidity. Then spread them around your plants. Used coffee grounds add nitrogen and potassium to the soil as well as a boost of magnesium which all plants need to stay healthy. Add a little bit of lime or wood ash to the mix to add in your phosphorus and calcium and ladies and gentlemen, we have a healthy citrus garden. No one can say you donʼt have a green thumb. You can also up the ante and swing past to visit Little Owl Coffee Roasters. We have a large volume of recycled hessian bags, perfect for your garden. Worms are also attracted to coffee in the morning. Add your used coffee grounds to your compost and you will notice your friends coming back for a visit. Just be sure to limit the amount of grounds that you add to your pile so that you donʼt throw off the ratio of “green” to “brown” matter. You think Iʼm joking. Iʼm 100% serious. 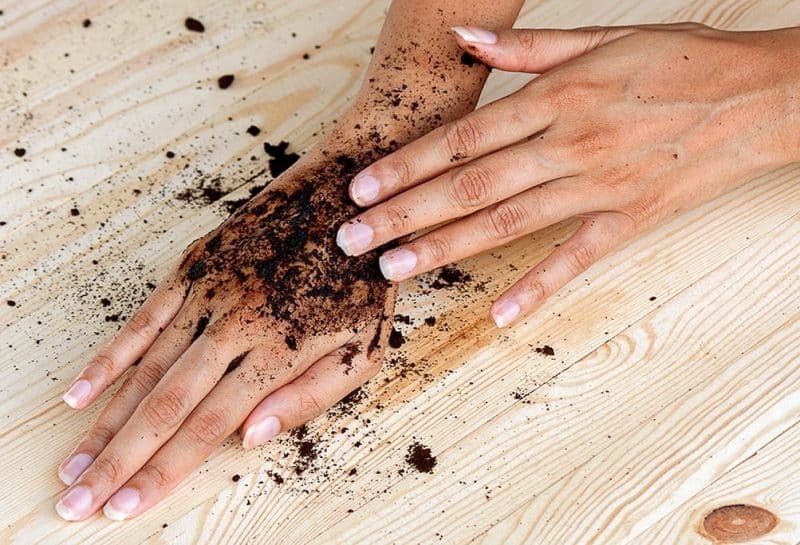 Coffee grounds make an excellent exfoliating body scrub. Just add some to a bit of water or your favourite all natural oil (coconut oil works great!) and scrub from head to toe. You will look and smell amazing. Thank me later. Just as it works as a body scrub, coffee also makes an excellent facial. Mix two tablespoons of used coffee grounds with an equal amount of organic cocoa powder. Add three tablespoons of whole milk or heavy cream and top it off with a heaping tablespoon of honey for the perfect all-natural alpha-hydroxy and antioxidant facial. Slap it on, add some cucumber eyes just for looks and you have the perfect relaxing Sunday afternoon. Youʼll never throw away your used coffee grounds again after seeing just how many things you can do with them! I hope you enjoyed this article and Goodluck with your next coffee adventure. If you have any questions please email us at Little Owl Coffee Roasters and we will be happy to help. Or pop in and say hi at our roastery located in Myaree, Perth WA.